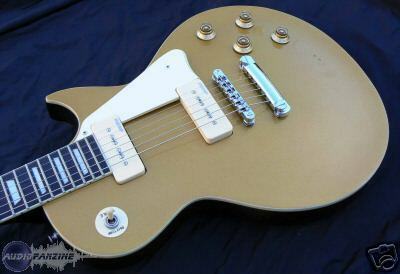 Reissued V100 Gold Top, LP-Shaped Guitar from Vintage in the Reissued series. Quite comfortable neck with a very smooth and fast varnish (it doesn't get sticky like the neck of my Gibson Nighthawk!!). Access to the upper frets is like on a Gibson!! It's a matter of taste! I play it with an all-tube Mesa Boogie and I get lots of sounds for 70's blues/rock... I luv it! Thanks to this modification (which doesn't damage the guitar) I can now use the pickups either as humbuckers or single coils. The neck pickup sounds much nicer as single coil than humbucker for clean sounds! 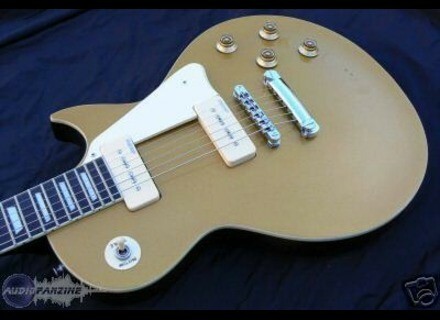 I've been using this guitar for one month and it's a great instrument considering the price! Based on my experience I wouldn't hesitate to buy it! !